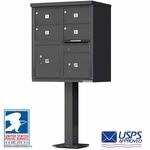 These US Postal Service Approved CBU Mailboxes are for mail and parcel deliveries. 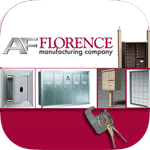 There are 8-door, 12-door, 13-door, even 16-door mailboxes, while parcel lockers come in Double Door and Quad Door variants. 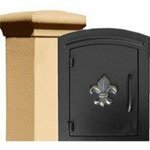 These are perfect for outdoor and indoor use, as you'll learn from our product experts. Question: What colors are available for a replacement cluster box unit? Answer: Gray is usually the color for replacement units. Thank you. 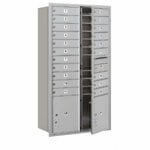 Answer: Click the link to view the 20-Door Cluster Box Unit. Please note that this unit is not USPS-approved and you will need to contact you local Postmaster for approval. 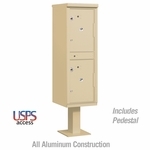 Question: Do you sell an 8-box cluster mailbox with pedestal that meets both ADA requirements and USPS requirements? 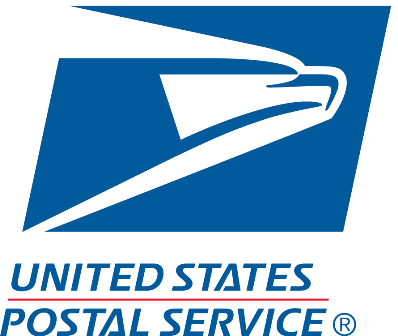 Answer: This unit is 4C Vario Depot is ADA complicant, but you should check with your local postmaster to confirm that they will approve. 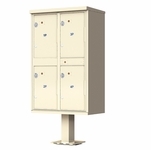 Note: see the additional image on the product listing to see a diagram of the mailbox unit installed into the Depot. Question: Do you sell a six-box cluster that meets all requirements? Question: Is a HOA allowed to place a wall-mounted message board to one side to the CBU mailbox? Answer: Please contact your local post office for their approval. Question: Is there a 10-door unit available? Answer: There are 10-door CBU's. Please type code (3409D-10) into the keyword search to view them. 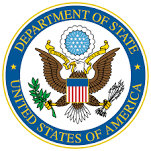 Question: What is the difference between the high-security CBU and the standard CBU? Answer: High-security CBU's have more secure features like anti pry for the doors and an anti fish comb for the outgoing mail slot. Question: Do you have this model: SKU#:WL-3413S-06SANBM? Answer: Yes, just search the SKU to view the mailbox. Question: We are 6 residents and we need lock-up boxes for mail and parcels. Answer: You will need to request a custom build. Please call us for more information. 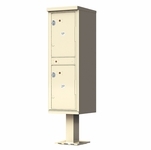 Question: Need clarification about whether base/post comes with cluster box unit or not. Also, do you have a cluster box with 14 sections instead of 13 or 16 and if so, how much is it? 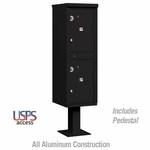 Answer: All CBU's on budgetmailboxes come with pedestal unless you select not to. 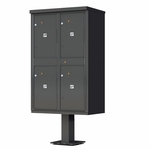 Please search "14 door 4c pedestal" with quotations to see all 14 door options. 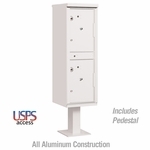 Question: Do all units come with pedestals? Answer: Not all come with pedestals. It will be noted on the product page whether the item comes with the pedestal or not. Question: Once the order is placed and payment is received, how long does it take to put the numbers on the boxes before shipping? Answer: Right now the processing time for the cluster boxes is 1-3 weeks before shipment. 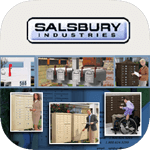 Question: Do you have a 36 mailbox unit? No, the largest number of doors available is a 29 Door Unit. Please click the link to view all configurations of the 4C Cluster Box Units offered. Thank you. Question: What's the difference between your regular cluster mailboxes and the high-security ones? 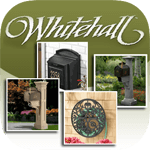 Answer: The regular mailboxes are made of aluminum. 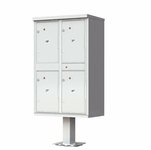 The high security are made of aluminum and steel. They also have extra security features on the doors to prevent entry. 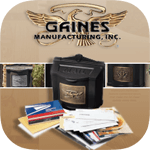 Question: Who manufactures your standard cluster mailboxes? Answer: They will be shipped by Salsbury or Auth-Florence depending on availability. Answer: I'm sorry, but we unfortunately do not carry that manufacturer. Question: I am looking for a cluster box for an office building with three suites. Sometimes, we receive parcel packages also. What type of boxes would you suggest?